Downshaw Lodge is a friendly, purpose-built home close to the market town of Ashton-under-Lyne in Greater Manchester. 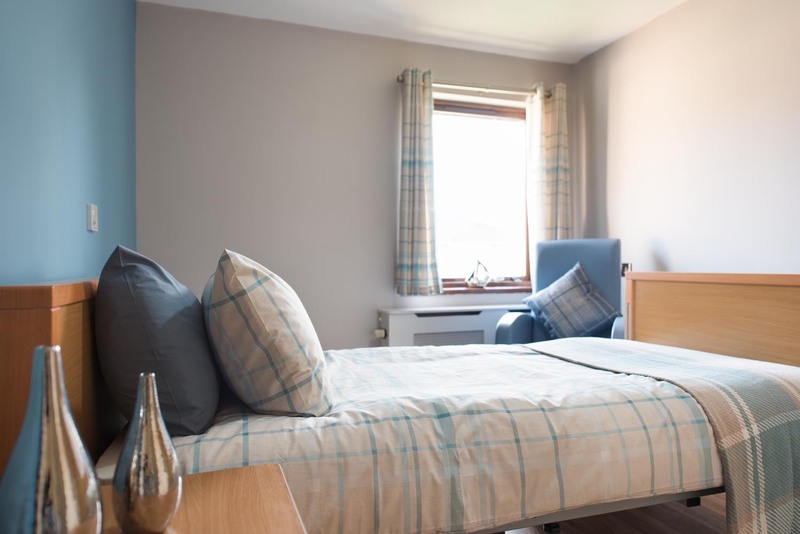 Rooms at Downshaw Lodge provide safe and comfortable personal spaces for our residents, decorated and furnished in a fresh, contemporary style. 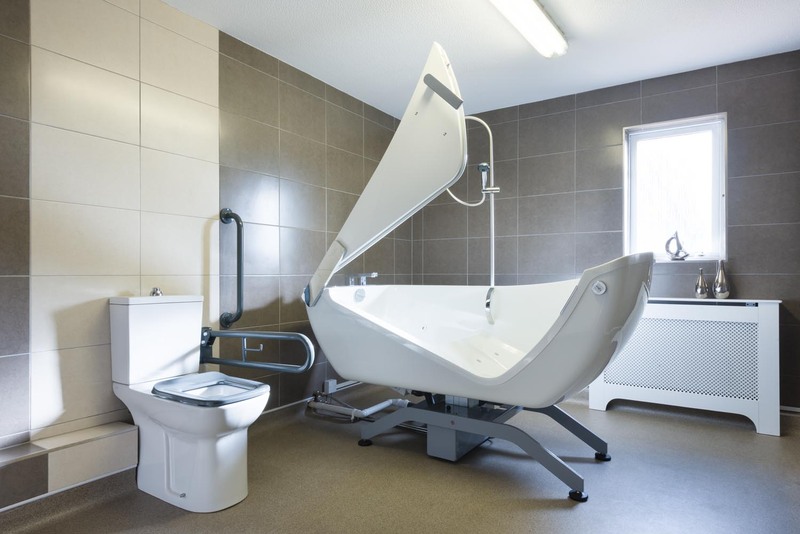 A modern ‘pamper’ bathroom – complete with a hi-tech, easy-access bath – provides residents with a calming bathing experience. The lounge area is the social hub of the home and is complemented by the addition of a new retro-style barber’s shop. 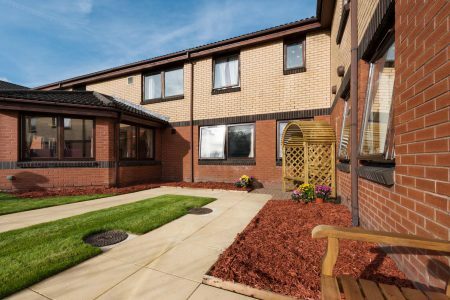 The dementia garden offers a secure, peaceful outdoor space for residents, family and friends to relax in. 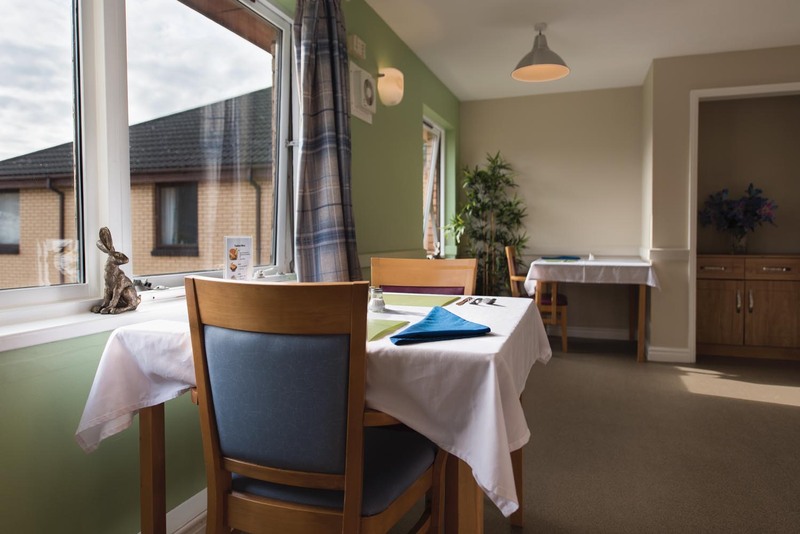 We know how important food is to our residents, so we put great emphasis on providing a varied menu of delicious and nutritious home-cooked meals. Our activities coordinator organises a range of pursuits and social events to help keeping our residents active and enhance their physical and mental wellbeing. 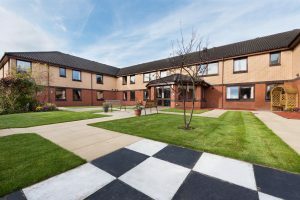 Downshaw Lodge is a male-only environment for those with a dementia diagnosis who, as a result of their illness, may present challenging behaviours. 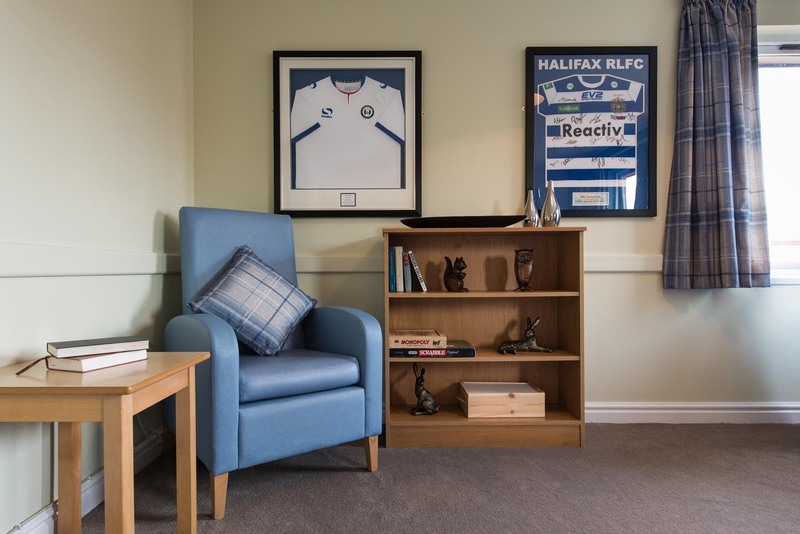 Our experienced team is committed to providing kind and compassionate care for our residents – delivering individualised care planning with support from local mental health services. 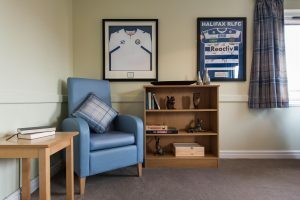 Downshaw Lodge is a male only environment for individuals with a dementia diagnosis who as a result of their illness may present with behaviours that challenge. I have worked in the care sector since 2005, at first as a care assistant. I studied hard and achieved NVQ level one to five before attending university and completing an adaptation to nursing qualification. 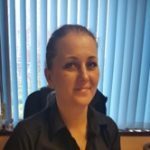 I became a care home manager in 2010 and have been at Downshaw Lodge since mid-2016. I strive to be a kind, understanding, caring and supportive manager, maintaining and developing good working relationships with my colleagues. I support residents to the best of my ability, enabling them to enjoy the highest-possible quality of life. 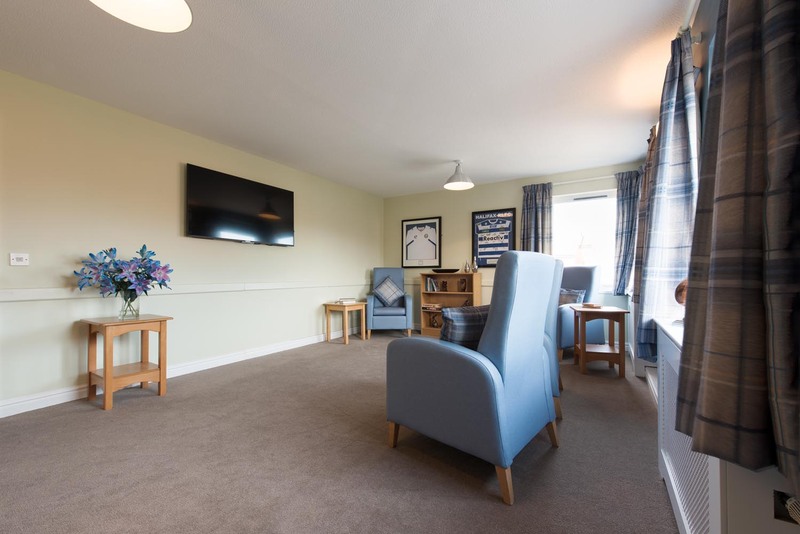 Downshaw Lodge is in a residential area, close to the bustling market town of Ashton-under-Lyne, in the borough of Tameside, Greater Manchester. 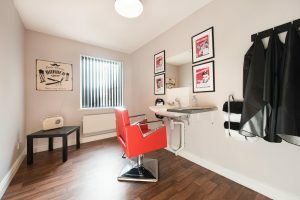 Ashton-under-Lyne is on the River Tame in the foothills of the Pennines, close to the picturesque Peak District National Park, yet is just six miles east of Manchester city centre and five miles south of Oldham. The town is home to one of the UK’s largest and most popular markets. Downshaw Lodge is well served by road and rail, with the M60 and Ashton-under-Lyne railway station close by. Manchester Metrolink trams and regular buses link Ashton with Manchester city centre. Manchester Airport is 14 miles to the south west. My husband moved into Downshaw Lodge Care Home December 2015. The staff at Downshaw Lodge are a well lead cohesive team resulting in the residents receiving a caring professional service. There is always a carer in the lounge areas and I have witnessed their skill and the kindly way they have defused many a risky situation. They have always included and supported me by their good communication and thoughtfulness. I am happy with the care and kindness at this home. 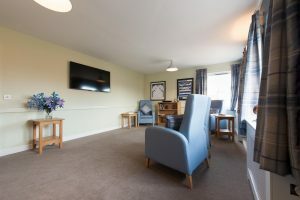 Downshaw Lodge Nursing Home offers flexible visiting hours to suit the individual needs of residents and families.